Have you ever sought out a word for your year? Something that describes your 2019 - a word that reflects what you hope your year is filled with. Maybe it’s Hope, Wisdom, Serenity. Maybe you hope this year marks more Unity in the world or Creativity for you. 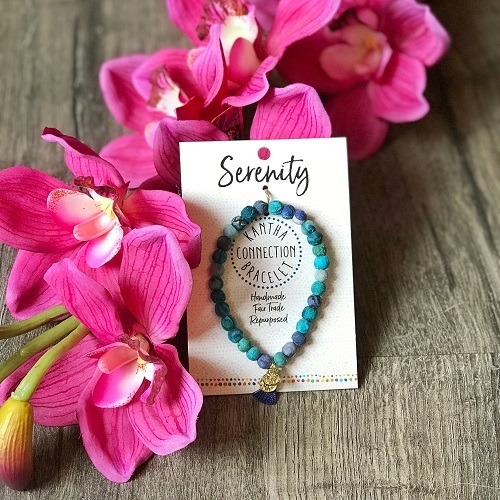 These beautiful bracelets are a great reminder of that. Each of these beautiful bracelets begins with a wood bead that the women hand carve. It is then covered in repurposed Kantha fabric pieces, then made into gorgeous, sustainable produced jewelry. 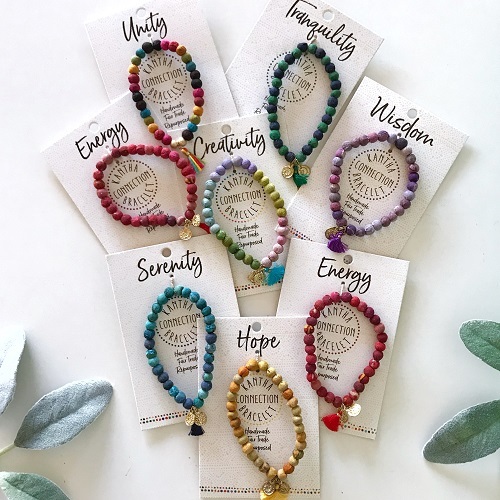 They are handmade by women in India and they not only create lasting change in these precious women’s lives, but the purchase also provides healthcare and education for girls (can anyone say EMPOWERMENT??). This is a win-win. What's your word? You don't have to pick just one... these look great stacked on your arm!